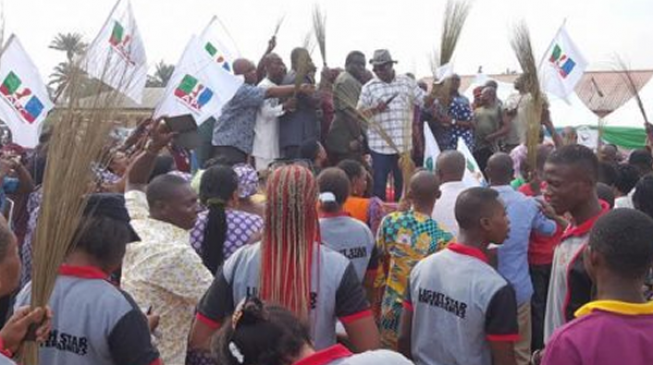 Reports reaching DAILY POST have it that unknown gunmen have murdered the APC Ward 10 Chairmanship Candidate (Jeremi III) in Ughelli South Local Government Area of Delta State, Mr. Jeremiah Ogjoveta as the All Progressives Congress, APC, holds its congress nationwide. Details as to how the victim was murdered wasn’t clear at the time of filing this report but a photograph taken indicates that he was shot and left to die with serious gunshot injuries. As at press time, party members declined speaking with our correspondent, even as the party was yet to decide whether to go ahead with the congress in the area. When contacted, the Delta State acting Police Public Relations Officer, DSP Andrew Aniamaka said he is not aware of the development but he promised to find out and get back to our correspondent.